A bill that passed the House Wednesday would allow anyone who has a concealed-carry gun permit in one state to carry it in any other state that allows such permits. Massachusetts officials and gun regulation advocates said last week they were worried that there will be more guns in the streets if Congress passes a bill that would require the state to honor concealed-carry gun permits issued in other states. 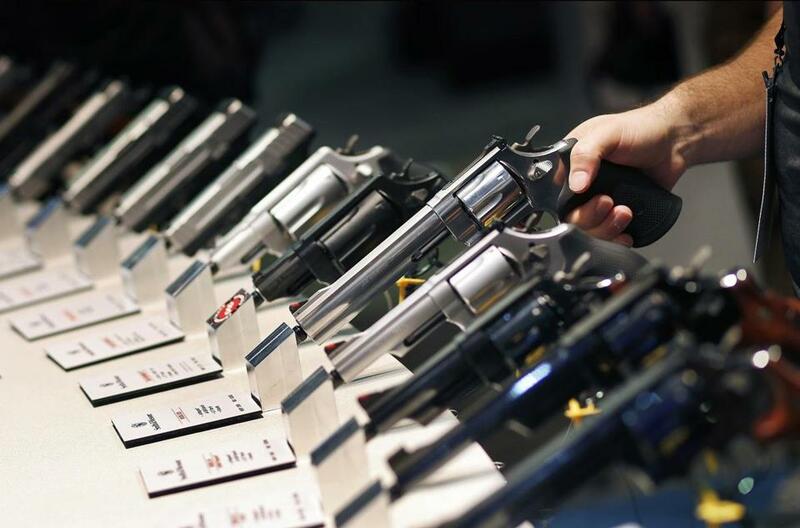 Under a bill that passed the US House of Representatives on Wednesday, a person with a concealed-carry permit and a photo identification from one state would be able to have a gun hidden in their clothes in any other state that allows such permits. “This legislation is dangerous for the state of Massachusetts, our law enforcement officers, and our residents. We are disappointed in the House for passing this reckless legislation and we urge the Senate to respect state laws, to protect the safety of our communities, and to reject this bill,” Massachusetts Attorney General Maura Healey said in a statement on Thursday. Healey was joined in the statement by the Massachusetts District Attorneys Association, the Massachusetts Major City Chiefs of Police Association, and the Massachusetts Chiefs of Police Association. The House passage of the bill is a startling development after recent mass shootings that have rocked the nation and sparked calls for tightening, rather than loosening, gun regulations. The bill’s proponents say the gun owners’ licenses should be honored the same way that a driver’s license in one state is honored in other states. But critics point out that different states have different requirements for obtaining such licenses. And they say individual states have the right to decide who gets such permits. The bill, which the National Rifle Association has called its ‘‘highest legislative priority,’’ passed by a 231-198 vote. Its fate remains uncertain in the Senate, the Washington Post reported. And if it does pass, it’s expected to face legal challenges. “The Baker-Polito Administration supports the Second Amendment to our Constitution,” said Billy Pitman, spokesman for Governor Charlie Baker. “This dangerous legislation would allow gun owners to bring their guns into Boston unchecked and concealed at a time when my officers are working tirelessly to keep guns and the damage and devastation they cause out of our city,” Evans said in a statement. “Nobody knows better than local law enforcement officers who should or shouldn’t be permitted to carry a gun in their neighborhood. Taking that authority away from those most qualified to make that determination is irresponsible and dangerous,” he said. In Massachusetts, the decision to issue gun licenses is made by local police departments. John Rosenthal, cofounder of Stop Handgun Violence, a leading gun control group in Massachusetts, noted that the bill is being brought forward after the horrific massacres at a concert in Las Vegas and at a church in Sutherland Springs, Texas. “Congress continues to undermine effective and proven state gun laws that save lives, simply to placate their gun industry benefactors whose only concern is to increase gun violence, fear, gun sales and campaign contributions,” he said in a statement. The bill was linked with legislation to improve the national background check system for gun purchases, a measure that has rare bipartisan consensus. House Democrats accused Republicans of ‘‘trickery’’ and ‘‘sabotage’’ in tying the two bills together. In the Senate, Democrats have said the combination bill is a nonstarter, and senior Republicans have said that pairing the bills could torpedo them both. If it ultimately passes, the bill is expected to be challenged on the idea that it is an illegal intrusion into state’s rights. Gabrielle Giffords, who left the House after becoming a victim of gun violence in her home state of Arizona and started a gun-control group, said that ‘‘Congress has failed the American people’’ and moved toward making the country less safe. Material from Globe wire services was used in this report. Martin Finucane can be reached at Martin.Finucane@globe.com.